Earth Hour 2019 takes place on Saturday 30 March from 8:30pm to 9:30pm local time - how will you #Connect2Earth this Earth Hour? 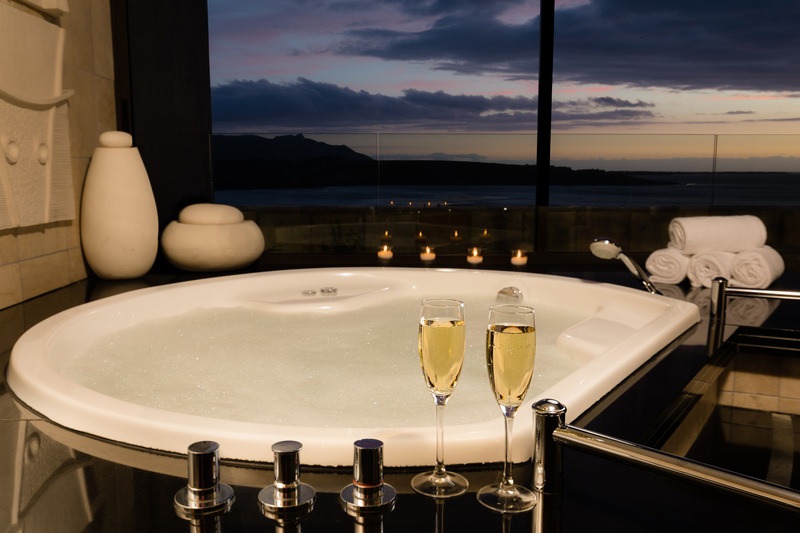 The Arabella Hotel has a special romantic package that is exactly like nothing else! The Bee & Kie Honey Factory is idyllically flanked by the mountains of Kleinmond in the Western Cape and the magnificent Atlantic Ocean. A great way to start the year out on the right foot is to join the weekly Grabouw Park Run that takes place at 8am every Saturday morning at Trail’s End. 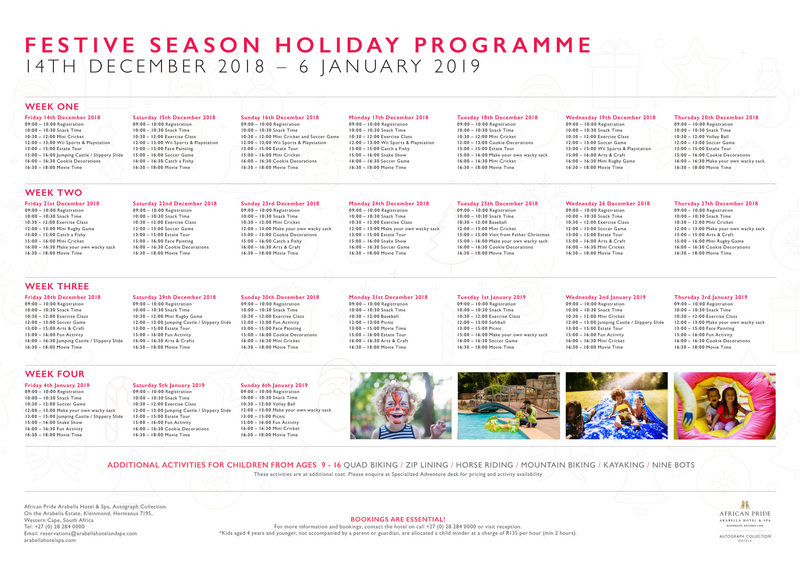 The Arabella Hotel has a full Festive Season Kids Holiday Programme that will ensure your kids are NEVER bored! There are two Caves of archaeological significance on the Overstrand Coast and both are named Klipgat, meaning literally ‘rocky hole’. We are very excited and proud to announce that Arabella Country Estate has once again been voted as one of the top 10 estates to live in in South Africa. We are giving away a Comfort Zone Hydra-memory Facial – valued at R760 – this November. With the Klein Rivier running through it, mountain views, and just 30 minutes from the sea-side town of Hermanus, Stanford is ideally positioned for couples and families looking for a laid-back getaway in a quaint and historic village that remains true to its entrepreneurial roots – pop into one of the antique stores, restaurants, vineyards or coffee shops. 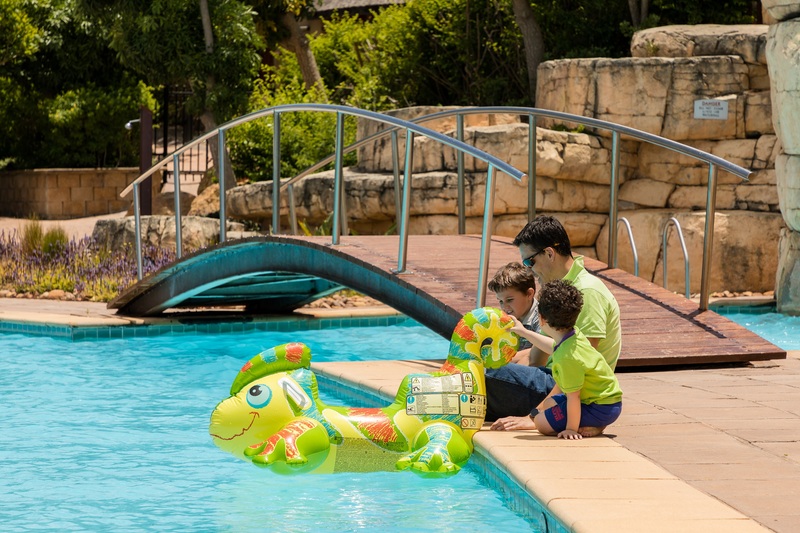 The Overberg has become a dream destination for many families, as it offers a lifestyle and sense of security not available in many other areas in South Africa. Quit punishing yourself - learn to lean it forward! The most common thing that causes poor contact in shots around the green is the hands and wrists trying to scoop the ball into the air. The Green Mountain Trail is a four day hiking trail around the Green Mountain in the Overberg region of the Western Cape, traversing a tapestry of fynbos and fruit farms. Are you ready for SA's 1st Tough Mudder? Are you ready for the first Discovery Tough Mudder South Africa which will take place at Houwteq Campus, Elgin, Western Cape on the 15-16 September 2018. The Duiwelsgat Hiking Trail is a 7km path meandering along the coast the coastal cliffs of De Kelders from Gansbaai harbour to KLIPGAT CAVE. Fynbos is the main vegetation type of the Cape Floral Kingdom – one of only six floral kingdoms in the world, and it’s the smallest and richest of the kingdoms. About three quarters of fynbos species are endemic to their area – in other words, they grow nowhere else in the world. Fynbos grows in nutrient-poor soil, thereby creating entire ecosystems where many other vegetation types would not survive. Fynbos provides life for many animal and bird species, like the beautiful Cape sugarbird, (which is endemic to fynbos regions), and many types of very threatened butterfly species. Fynbos plants, like other plants, mark the beginning of the life-providing oxygen cycle. Not only is the Botriver lagoon, on whose shores Arabella Country Estate is situated, the largest and most beautiful natural lagoon in South Africa, it has also just been awarded Ramsar Status as a wetland of international importance! Celebrate the arrival of the Southern Right Whales at the Hermanus Times Kalfiefees. A big thank you to all of the loyal supporters of the Reach for a Dream Golf day who helped to make this day the huge success it was! Eikenhoff Nursery, renowned for their iconic orchid plants, are very excited to invite you to their July Open Day taking place on Saturday 28 July from 9am to 1pm. Take a stroll through the nursery, ask all those questions that you’ve been dying to ask about the care of your plants. Join Michelle, a registered Biokineticist, Pilates & Zenga & Kids Yoga Instructor, for a YOGA for Kids Winter School Holiday Programme. Michelle will guide your child in a fun, safe and calming space to connect their mind body and spirit. One of a kind, Hermanus FynArts is a fusion of Festival and Winter School; a blend of visual, intellectual and creative stimulation with a vibrant social buzz, taking place from the 8th to the 17th of June 2018. Greyton, one of the Western Cape’s best loved mountain biking meccas, plays host to the Greyt Escape three day mountain bike stage race from the 15th to the 17th of June 2018. From 25 to 27 May 2018 the charming villages of Greyton and Genadendal in the foothills of the Sonderend Mountains in the Overberg come alive with the magical sounds of classical music. Join us on the last Saturday of every month at the Bot River Country Market. Join the Overberg Art Music for an evening over Cabaret Picnique with swinging jazz in aid of a fund for musical instruments, on Saturday 12 May 2018 from 7pm at the DR Church Hall in Bredasdorp. Visit the Hermanuspietersfontein Farmers Market that takes place each Saturday from from 9am to 1pm. At the Hermanus Country Market we pride ourselves on the quality of our crafters and traders. Locals and visitor love coming to the market to catch up, have a bite to eat and drink as well as shop. 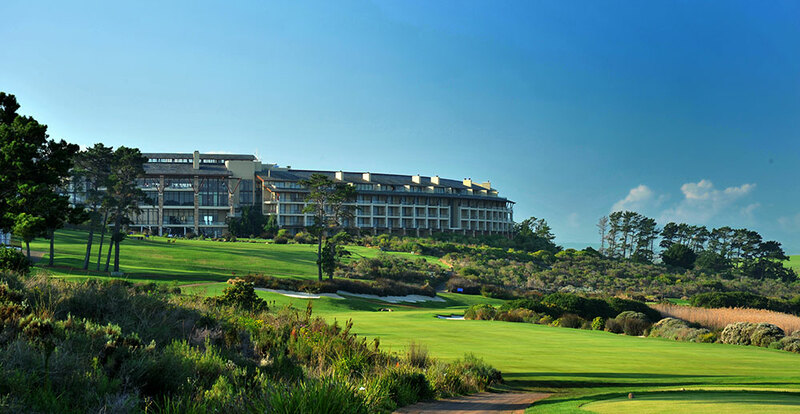 Arabella Country Estate, one of SA’s leading lifestyle and golfing residential estates situated along the Bot River Lagoon in Kleinmond, is reaping the rewards of their long established water and environmental management plans despite the current drought conditions plaguing the country and the Western Cape in particular. For those wanting to enjoy the peace and quiet on their own you can indulge in the 2 hour long “Your Absolute Valentine” package for just R1775 per person. For the more adventurous this month of love, why not try your hand at being a real-life Cupid and doing some archery. itesurfing is exploding in popularity all over the world! If you are wanting to taste or indulge in the full experience of the latest water sport look no further. If you are looking for another way to see the Overberg then book yourself a tour with Overberg Aviation and see things from a different angle. Pringle Bay boasts a beautiful beach that stretches from the mouth of the Buffels River and down one side of the village. Come and join us for a tour of a working abalone farm in the heart of the South African abalone industry, in the coastal town of Hermanus. Learn more about abalone, see it, feel it, and even taste it. Noel Ashton, using his paintings and scientific illustrations, will take you below the surface and bring you face to face with these magnificent ocean travellers, telling the story of their fascinating underwater lives, with a special focus on the visiting southern right whales and whale identification. Tucked away between the picturesque mountain of the Hemel and Aarde Valley near Hermanus is Heaven and Earth Horse Trail Rides on Karweyderskraal Farm. Windermere Cider began early in 1989 when Andre Le Roux and Mark Stanford brought bitter-sweet apple varieties to South Africa from Europe. 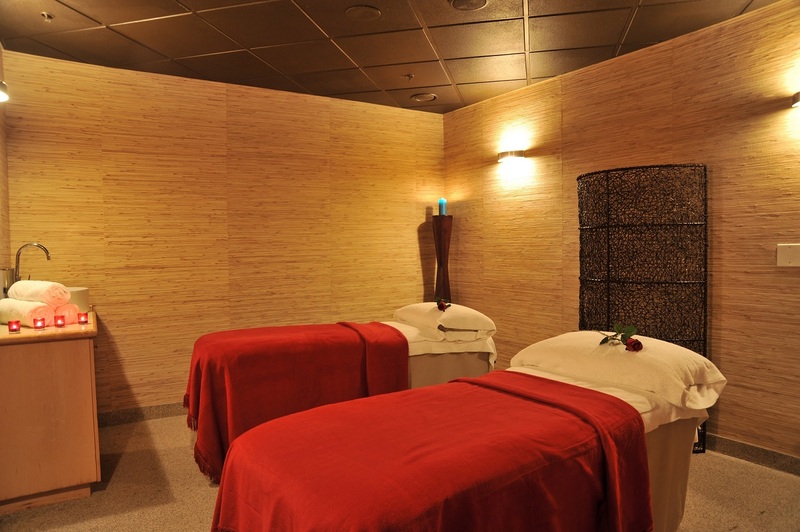 It’s the last week to enjoy our Summer Spa Moments Promotion at Arabella Spa. Now entering the fifth year of successful collaboration between Paul Cluver Wines and Thembalitsha Foundation, Hope@PaulCluver, a community-based performance series, uses the arts to increase hope for the eradication of poverty. From all over the Overberg, traders and visitors converge at the Elgin Valley Market to enjoy the fresh fare & healthy food that has made the area such a popular tourist destination. A relatively new craze to hit South Africa, stand-up paddle boarding, better known as SUP-ing, is popular for how easy and quick it is to learn. 10 Facts we bet you didn’t know about Betty’s Bay! The bustling little village of Betty’s Bay along Clarence Drive is known for being a great holiday destination due to its beautiful landscapes and beaches. Arabella Spa is proud to present the Conferencing Spa Menu specially tailor made for you to make sure you get a taste of the benefits of a pampering, relaxing and luxurious treatment in the hands of the world’s best. First Fridays’ in Hermanus is our part of a worldwide initiative to make art and art galleries more accessible to the public. Great video highlighting the beauty of the Overberg region – come visit us! Take a bit of ‘me-time’ to indulge yourself at Arabella Spa with their fantastic spa and hair offerings. Walk; Run; Cycle on the Yellow route; Birdwatch; Photograph; Picnic; Discover fantastic flowers; Enjoy great views; Stay in the Galpin Mountain Hut; Buy local plants; Go geocaching; –or just sit and soak up the beauty! In hot pursuit of adrenaline adventure in nature? A zipline canopy tour in the company of soaring eagles, surrounded by breathtaking Cape fynbos panoramas and mountainscapes only an hour’s drive from Cape Town by car could well be exactly what you are looking for. Since a few months ago, when everything at Mthimkhulu Village in Kleinmond still looked pretty much the same as it has been for the past few years, much has transpired in the area adjacent to the northern entrance gate: in fact, there is shining evidence now of a nursery-in-the-making and a stunning mandala garden that only needs to start sprouting! The bustling little hub of Kleinmond has become quite the favourite amongst locals and visitors alike. 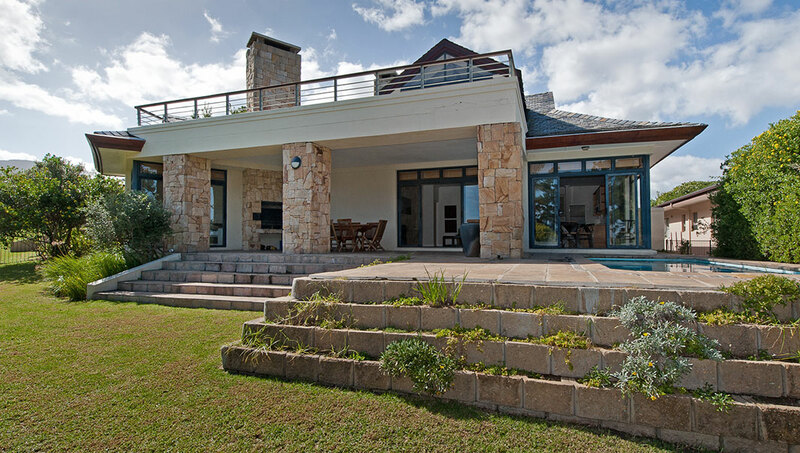 Arabella Country Estate, situated along the Bot River Lagoon in Kleinmond, has become the first Association of Residential Communities (ARC) member residential estate in South Africa to receive their PoPI (Protection of Personal Information) Act Compliance Certification. The Overberg Crane Group have recently published some interesting facts about the African Fish Eagle. At Arabella Country Estate we are privileged to have a breeding pair of African Fish Eagles, amongst many other species of birds. Hidden away at the southern tip of the African continent lies a region decked in old world charm and kept secret to preserve its rich combination of biodiversity, historical importance and natural beauty. South African photographer, Jean Tresfon, took these spectacular images over the Overberg recently. We wish to send a HUGE shout out to the Karoo Donkey Sanctuary who went above and beyond to rescue 260 Donkeys and Equines in the past month. The beautiful Overberg region located on the southern coast of the Western Cape offers up a variety of exciting things to see and do, and has thus become a favourite amongst holiday-makers, national and international alike. The Arniston, a 53.8 meters long, 13.2 meters wide, 3 decked and 3 masted English East Indiaman of 1498 tons was built by Barnard in the bottom of the Neptune, on the River hames, in 1794. Article from The Cape Odyssey. Ella Gordon Dove Colston, commonly known as Miss Gordon, was born in Edinburgh Scotland on 18th January 1873. If the chick is not visibly injured, the rule of thumb is to leave it undisturbed if its life is not in danger.